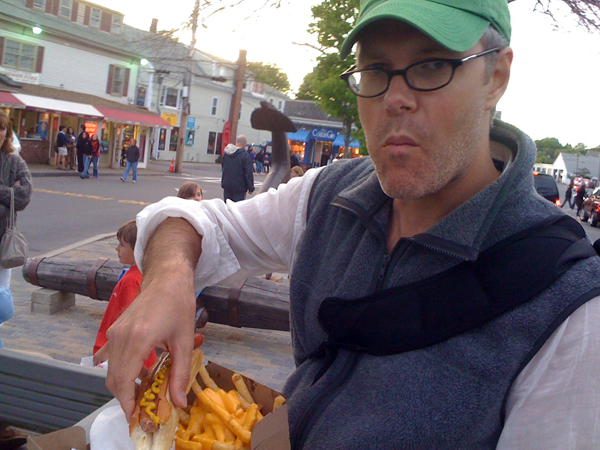 In honor of visiting Provincetown, I ate a footlong. After much deliberation, I chose John’s Hotdog stand although I was later informed that Mojo’s in Wellfleet was the dogstand of choice. Allen, the next time you visit we will take you there, although you will be required to wear a purple feather boa. Lady: [to friend] Are you going chanting tonight? Lady: If you want, we can just do it by ourselves.